Hewlett Packard Emerges! Witness the Birth of a 3D Printing Behemoth! Today, Hewlett Packard changed everything. 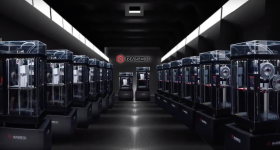 This is the end of hype in the 3D printing industry. 3D Printing Industry was invited to attend their event entitled, “Reimagine Possibilities” at 9am today in New York. HP delivered multiple technologies that are as transformative as any Apple technology of the last 10 years. The presentation began with Dion Weisler, executive vice president, Printing & Personal Systems (PPS), talking about a new approach called “Blended Reality”. He talked about the familiar Jobs-ian paradigm of man as a tool builder, with computers being the ultimate tool. Then he started talking about 3D printing. The excitement in the room went sky high as he began to talk about how HP wants to solve the big three problems of current 3D printers: “speed, cost and reliability”. Talking about HP’s dominance in 2D printing, he talked about a new technology called “Multi Jet Fusion” a tool to trigger the next industrial revolution. 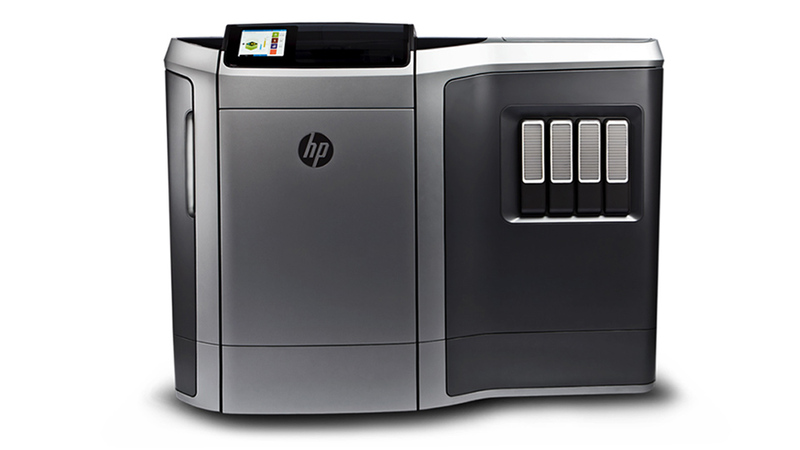 To introduce the printer, he introduced Steve Nigro, the Senior Vice President of the Inkjet and Graphics businesses within HP’s Printing and Personal Systems (PPS) group. He and his team provide the leading ink- based printing solutions on the market that connect to mobility, cloud, and social media trends. Right after stepping onstage he addressed the rumors that have been going on for a while in the 3D printing universe about Hewlett Packard. 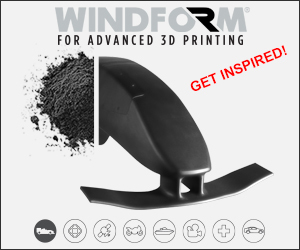 “A new approach to 3D printing. I’m saying a breakthrough. How do we define a breakthrough? First. Speed. 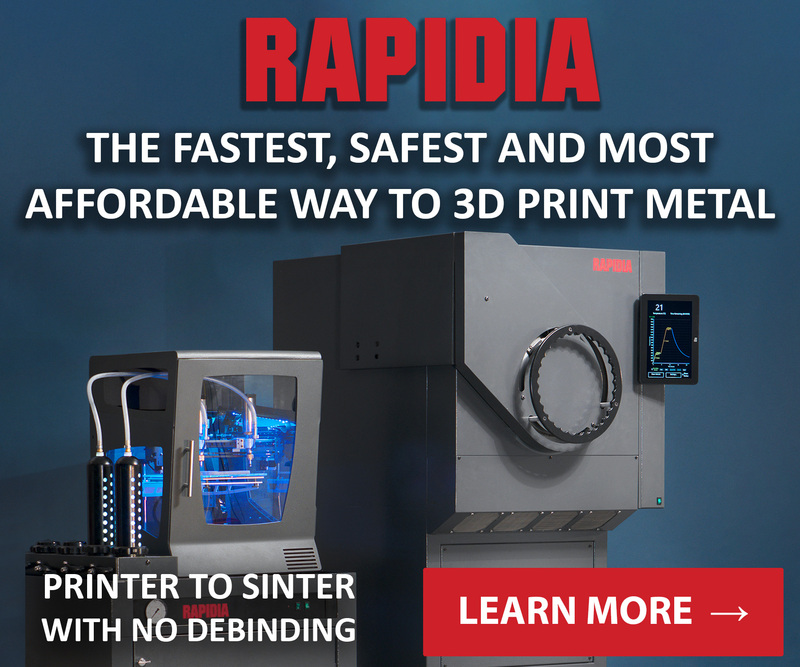 You can print 10x faster than any 3D printing. 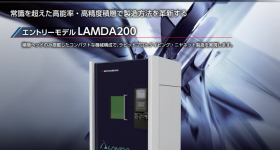 We are going to show you how we have broken through the limitation of speed, quality and cost. Finally it was time. They unveiled the machine. 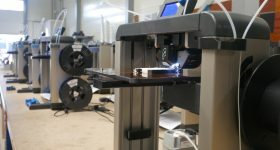 It’s built with HP Thermal Inkjet technology, and features a unique synchronous architecture that significantly improves the commercial viability of 3D printing and has the potential to change the way we think about manufacturing. 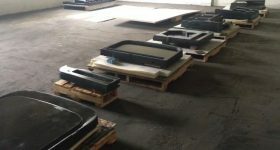 · New Levels of Quality, Strength and Durability: Proprietary multi-agent printing process utilizing HP Thermal Inkjet arrays that simultaneously apply multiple liquid agents to produce best-in-class quality that combines greater accuracy, resiliency and uniform part strength in all three axis directions. 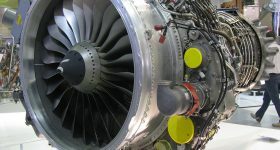 · Accuracy and Detail: Capable of delivering fully functional parts with more accuracy, finer details and smooth surfaces, and able to manipulate part and material properties, including form, texture, friction, strength, elasticity, electrical, thermal properties and more – beyond other 3D print processes. 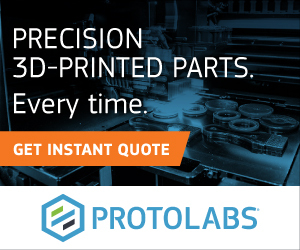 · Achieves Break-through Economics: Unifies and integrates various steps of the 3D print process to reduce running time, cost, energy consumption and waste to significantly improve 3D printing economics. 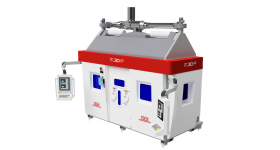 President & General manager of Large Format and 3D Printing, that it uses less energy and it doesn’t cook the plastic like SLS, allowing for more recycling of unused material. Truly phenomenal. Of course the Multi Jet Fusion had to print a part of itself first. Of course. CEO of Shapeways Peter Weijmarshausen stopped by to endorse HP’s new 3D Ecosystem. 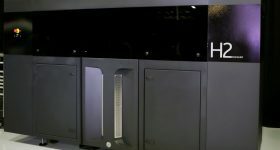 What this means: Through this program, HP will continue to extend the capabilities of the HP 3D print platform throughout development and will provide a certification process for partners to drive materials innovation. 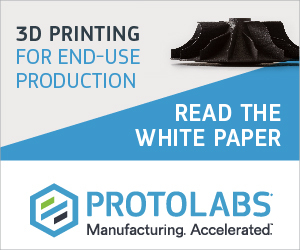 flexibility and versatility with 3D printing materials beyond the current use of thermoplastics, which will enable new solutions in segments such as additive manufacturing and will expand applications for engineering, architecture and consumer goods. 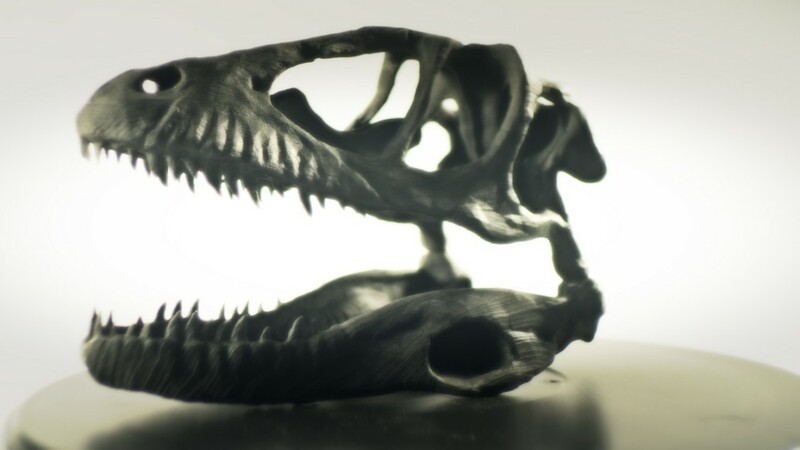 HP will also bring its color science expertise and the full-color capabilities of traditional HP printing to the 3D world in future-generations of its 3D print systems. Next up, was a video featuring a rousing endorsement for the new technology ecosystem from Autodesk CEO Carl Bass and Terry Wohlers. 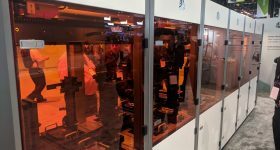 They talked about how Hewlett Packard’s new 3D printer will help actually usher in a new age of 3D printing manufacturing. Blended reality and the multi-jet fusion technology isn’t all. Sprout was next. Sprout is a new category of technology. It’s absolutely unbelievable. Except I saw it! Ron Coughlin, Senior Vice President and General Manager Consumer Personal Systems, Printing and Personal Systems Group, was introduced next to do the unveiling. To be more precise, sprout is “a first-of-its-kind Immersive Computing platform that redefines the user experience and creates a foundation for future immersive technologies.” The first product available in HP’s Blended Reality ecosystem, Sprout by HP combines the power of an advanced desktop computer with an immersive, natural user interface to create a new computing experience. 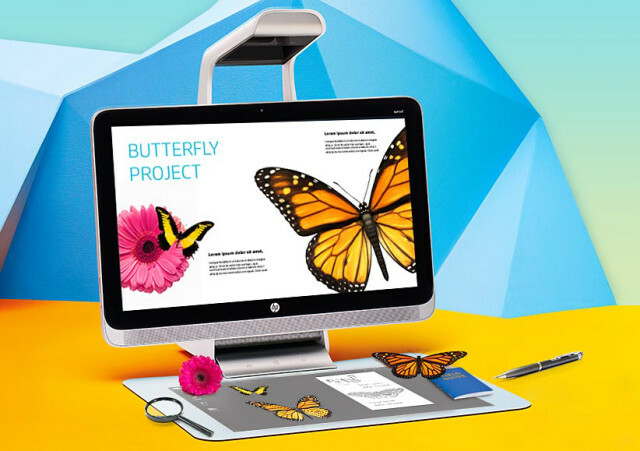 Combining a scanner, depth sensor, hi-resolution camera and projector into a single device, Sprout by HP allows users to take physical items and seamlessly merge them into a digital workspace. The system also delivers an unmatched collaboration platform, allowing users in multiple locations to collaborate on and manipulate a single piece of digital content in real-time. This of course immediately reminded me of the Autodesk term “Reality Computing” which I’ve been writing about for the last few months. It’s basically a way to describe a new ecosystem where physical and digital reality are altered, designed and played with in an entirely new way. Sprout is incredible. You can capture 3D objects with the state of the art camera system. You then use your fingers or a stylus to create, and manipulate these objects on a 23” touch HD screen (vertical), and a touch screen projector (horizontal). A brand new innovation is real-time collaboration, where they can manipulate the same object in real time. It’s powered by an Intel core processor. It’s a bird! It’s a plane! I have to say, this was quite a stunning series of announcements. Oh, Sprout is also a full powered PC as well, with windows 8 (oh well). So can you have and make apps for Sprout? Yes! They have first party apps, where you can edit vertically and horizontally. First up? A Martha Stewart Design App, which she endorsed by video at the event. · The Sprout Illuminator: A projection system that scans and captures real-world objects in 3D, allowing the user to immediately interact and create. · HP Workspace: A software platform built expressly for Sprout to take full advantage of the dual-screen experience to make working and creating seamless, intuitive and engaging. · True Remote Collaboration: The way collaboration should be. An interface that advances how users work, collaborate and share, with simultaneous visual and workspace connectivity, allowing concurrent creativity and content manipulation. · Advanced Platform: A next-generation computing platform featuring a powerful 4th generation Intel i7 Processor, 1TB of storage in an easy-to-use dual-screen interface, and a Windows 8.1 multi-touch experience. The potential of Sprout by HP’s unique configuration is fully realized through the Sprout Marketplace, an application marketplace that contains a growing suite of applications that are optimized to take advantage of the Immersive Computing platform to enhance how users work, play and engage with entertainment. CraftStudio, DreamWorks Animation Story Producer, Crayola’s Draw & Sing, GestureWorks age 4 of 5 Gameplay and first party experiences from HP including Create, Collaborate and Capture, enabling users to easily capture physical objects, manipulate them in a digital environment, and collaborate and share their creations in new ways. Another great announcement: today the HP Software Development Kit (SDK) is released. 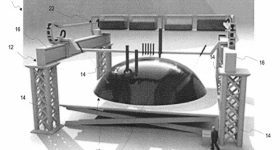 Sprout has 71 patents. Remotel collaboration, flow between 2 screens. New applications, including a range of creative applications for professionals, families, gamers and beyond, will continue to be added to the marketplace regularly. Sprout by HP is available for pre-order at hp.com today and will be available for purchase from November 9th. It’ll be in stores for Christmas. Oringinally available at Best Buy in an “amazing curated experienced” and Microsoft Stores on November 9th and then extended to SMB, Commercial and Education. Next up, was artist Joshua Davis, who works with technology to make art. 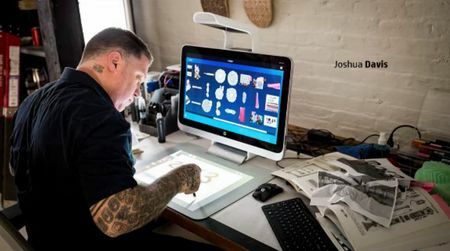 Focusing on the convergence of design and technology, a video showed him using the projector/scanner to create art that is both digital and physical. Todd Selby, another artist, talked about a “knockout function” where you can take a picture and “knock out” a shape to play with. This was hands down the most exciting press conference I’ve ever been to. There were so many gracious and hyper-informed HP staff on hand, and everyone had something amazing to contribute. I was really struck by the great presentation, the great products and the restoration of innovation at one of America’s greatest companies of the 20th and now, 21st century. The amazing new 3D ecosystem is a phenomenal addition to Hewlett Packard, and will change our industry forever.